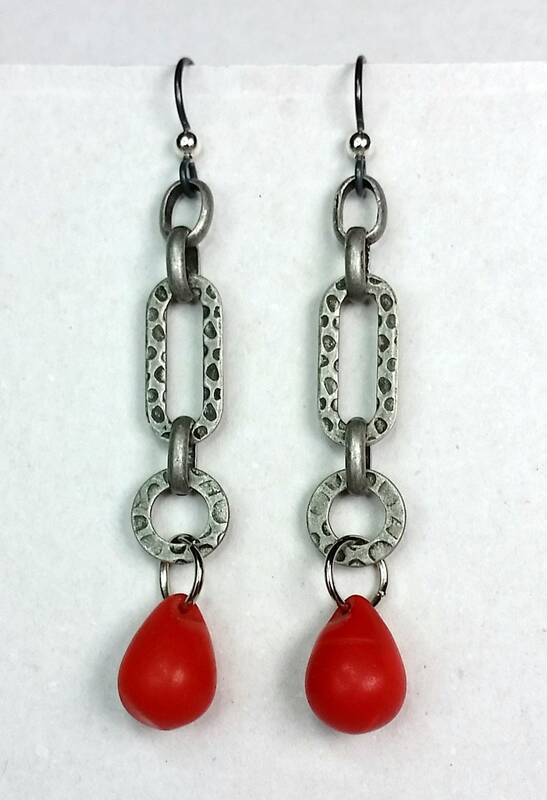 A perky red teardrop shaped glass African Wedding Bead drops from hammered chain with oval and circular links. The smaller attaching concave oval links are smooth (not hammered). These long earrings dangle approx. 2.25 inches below the hook on the hypoallergenic ear wire (Tierracast Niobium). Sure to catch the eye, there is both color and movement in these Boho beauties!